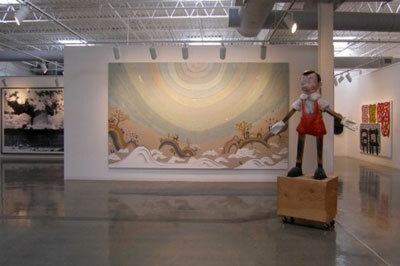 May 1 Phillip Schrager Collection of Contemporary Art’s Fifth Annual Open House 4405 S. 96th St. Noon to 4 p.m. schragercollection.org, 402.505.6553 One of the Midwest’s most distinguished private art collections is again making itself public for a day, as the Phillip Schrager Collection of Contemporary Art holds its fifth open house Sunday from noon to 4 p.m. Schrager, who passed away last year, made his collection available by appointment to arts and educational works since 2006. Sunday it will be open to everybody. “Although we are deeply saddened by the recent death of founder collector Phil Schrager,” gallery director Farber says, “we are pleased to maintain the legacy he built by continuing to share his love of art with the community.” Schrager’s exhibition space at 4405 S. 96th St. includes nine galleries.